Looking for a healthy Halloween treat idea? I have one for you today! 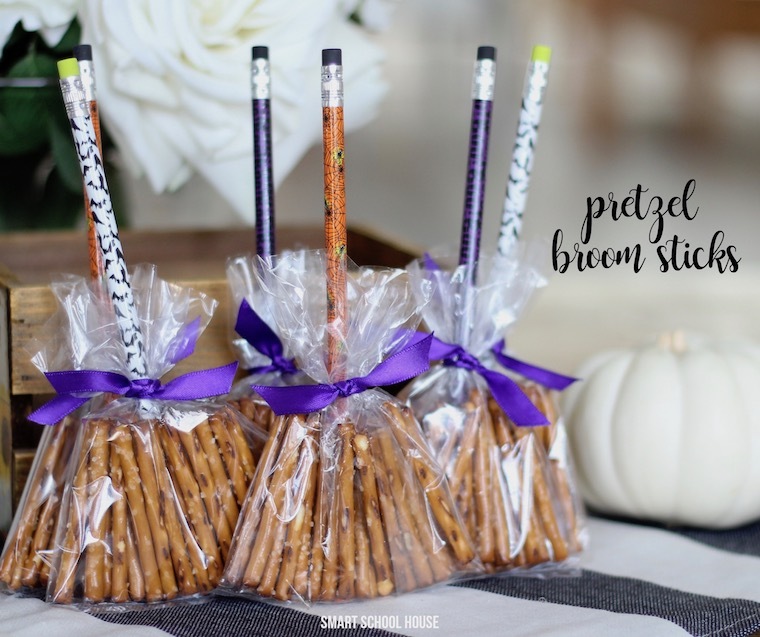 Pretzel broom sticks are made to look just like a witch’s broom and can be given out in place of sweets and everybody loves them because they are festive and you get a pencil! Don’t get me wrong, I’m all about the candy and treats that come around this time of year, but every once in awhile, it’s fun to make something that isn’t sugar coated. For some reason kids love a new pencil (remember that as a kid?). Halloween is one of the most fun times of the year for kids. But, the days become sugar filled quickly. That’s why we decided to make something that was still fun and festive, yet, without all of the sugar. Oh and don’t worry, these pencils don’t contain led. I know there were some concerns around that, but have no fear because pencils are made with graphite and totally safe. Aren’t they the cutest? 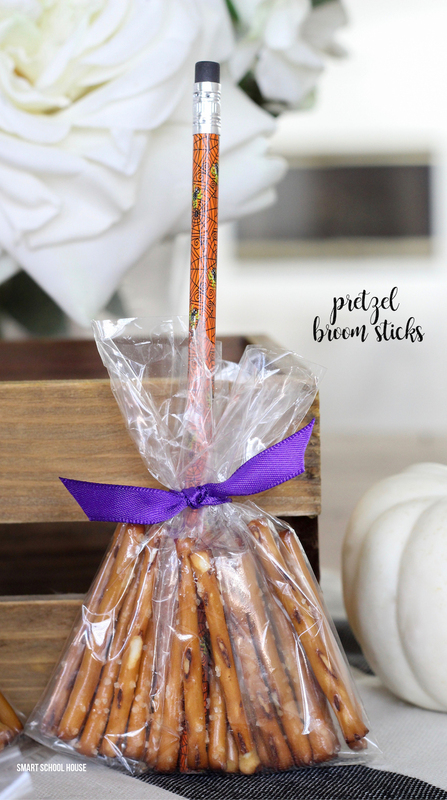 Best of all you can create several of these pretzel broom sticks in a short period of time. I think they would be a neat classroom craft too! Cut the goodie bags down to size. I cut about 3 inches off the top. 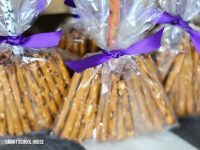 Place a couple handfuls of pretzel sticks inside. Stick in a Halloween pencil. Tie the goodie bag shut using ribbon. Great idea. Always looking for a clever idea.